At Caversham Vehicle Hire, we like to keep our customers up-to-date with current affairs in the industry, which is why this month, we’d like to share with you an important notification from the DVLA with regards to online fraudsters. Online scams are now the most common type of crime, and the Office for National Statistics (ONS) has revealed that scams via phones, email and the internet now affect millions of people each year, with the DVLA falling victim to these recent scams. Some members of the public received an email from a company professing to be the DVLA. This email then linked through to a bogus DVLA website that had been created to look just like the official DVLA website. Once on the fraudulent website, it then demanded that you hand over private details, including your vehicle’s registration number and payment details. Following this, if you did not hand over these details, it threatened that you would have your driving licence confiscated. How is this being dealt with? The situation is being investigated by the government, led by Cabinet Office’s Government Digital Services. These instances of either illegal online activity or misleading messages will be quickly acted upon once discovered. The DVLA do not send out emails to the general public, so if you do ever receive one, please delete it straight away. 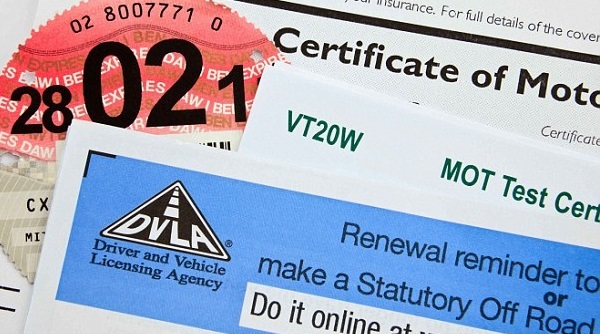 If you require DVLA’s online services for anything, the safest option is to go straight to the official DVLA website. In the meantime, it’s important to be aware of the ongoing online fraudsters and scams and how to recognise them, so that hopefully, you won’t fall victim to the criminal activity and become one of the government’s statistics. Remember, you should never feel pressurised into handing over your personal details online and if you have your suspicions that the source may be ‘phishy’ (likely to be part of an online scam), then abandon it straight away and report it to Action Fraud, the UK’s nation fraud reporting centre. For more information on Caversham Vehicle Hire’s affordable rental services, please get in touch with us today.